Though some volcanic eruptions are singular events—explosions of ash and lava that begin and end suddenly—most ebb, flow, and evolve over time, as underground magma shifts and underground channels open and close. For example, Kilauea has experienced 60 distinct events during its ongoing, 30-year eruption, while Eyjafjallajökull switched from a mild, effusive eruption to a violent, explosive eruption in April 2010. 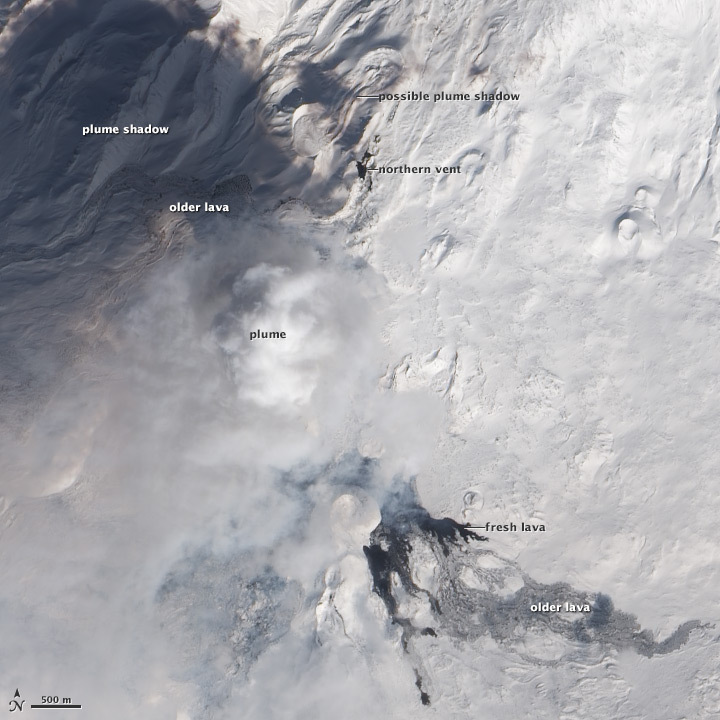 New satellite images in March 2013 revealed possible shifts in activity at Tolbachik volcano, in far eastern Russia. 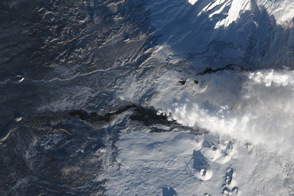 Tolbachik is a complex volcano on the Kamchatka Peninsula that has been erupting since late November 2012. 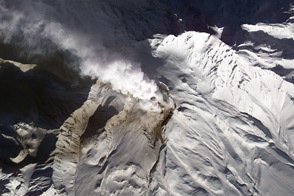 The eruption began with the opening of two fissures on Tolbachinsky Dol, a plateau south of the summits of Ostry Tolbachik and Plosky Tolbachik. Lava fountains spurted from the fissures, feeding lava flows that stretched at least 16.5 kilometers (10.3 miles) from their source. Within a week, emissions from the northern fissure had slowed or stopped, and the southern fissure coalesced into a single vent. Activity remained centered at the southern vent for three months. 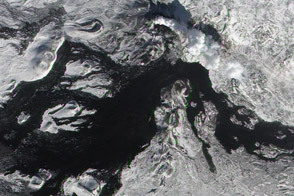 On March 20, 2013, the natural-color satellite image above revealed a dark spot either at the site of the northern fissure or at the northern end of the original southern fissure. 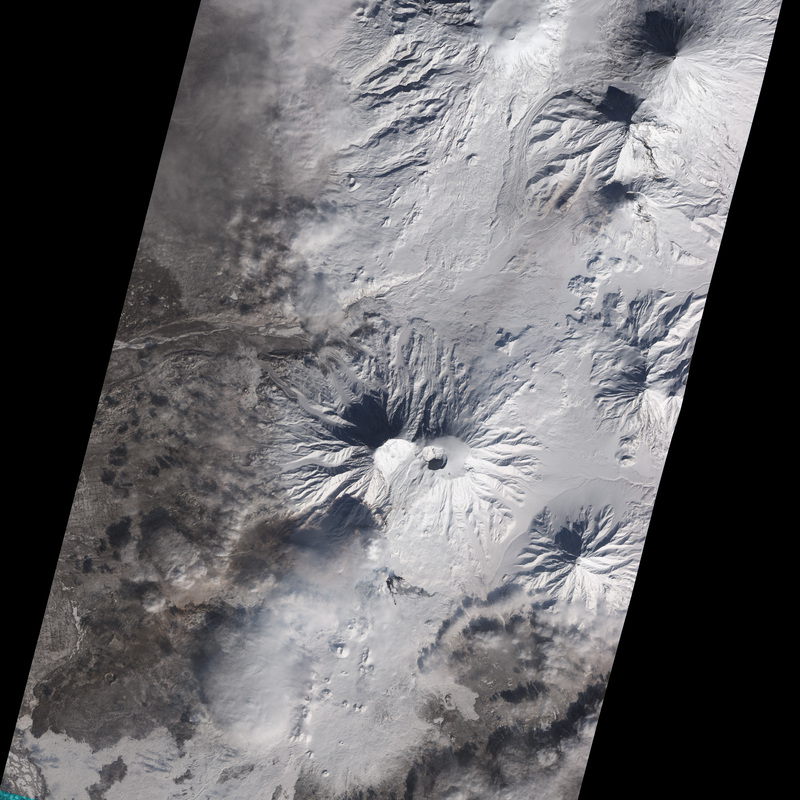 The area—about 290 meters (950 feet) north-south and 110 meters (360 feet) east-west— appears similar to the fresh lava flows pouring from the southern vent, and stands out from the surrounding snow. A dark shadow stretched northwest from the site, perhaps cast by a thin gas plume. These features suggest fresh lava is reaching the surface in a second location. 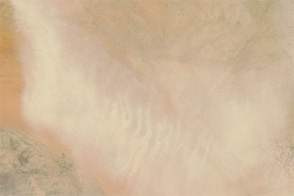 This image of Tolbachik was collected by the Advanced Land Imager (ALI) aboard the Earth Observing-1 (EO-1) satellite. A dense volcanic plume obscures the active southern vent, but fresh black lava flows are visible to the south. 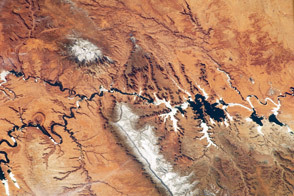 Older flows, covered in snow, reach further to the east. 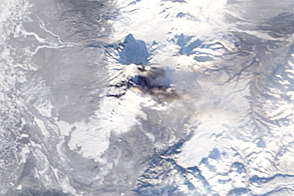 Flows dating from the initial days of the eruption stretch from the site labeled “northern vent” to the west, but are partially hidden by the plume and plume shadow. Volcanic cones from earlier eruptions (1970 and earlier) dot the landscape. 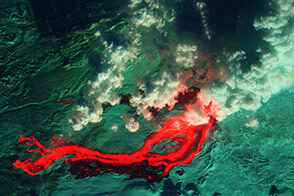 New features on the volcano suggest lava is reaching the surface at a new location. Global Volcanism Program (2012, December) Index of Monthly Reports, Tolbachik. Accessed March 25, 2013. 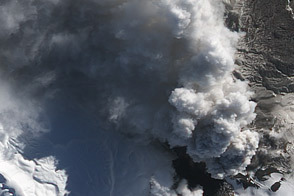 Kamchatka Volcanic Eruption Response Team (2013, March 24) VONA/KVERT Daily Report. Accessed March 25, 2013.